A one colour design, hand screen printed on a regular fit, 100% ultra cotton t-shirt. Inspired by antiheroes throughout cinema history. Available in red or black for a short period of time. 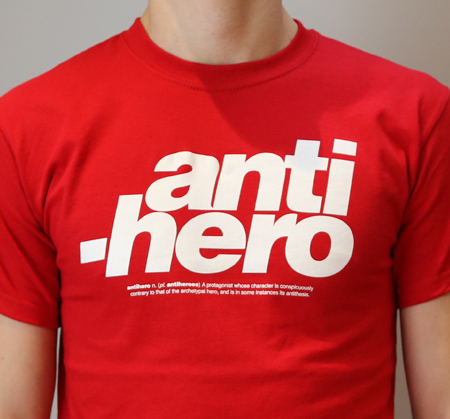 Small print reads: antihero n. (pl. antiheroes) A protagonist whose character is conspicuously contrary to that of the archetypal hero and is in some instances its antithesis.